Works well. Convenient. Easy to handle light to carry. 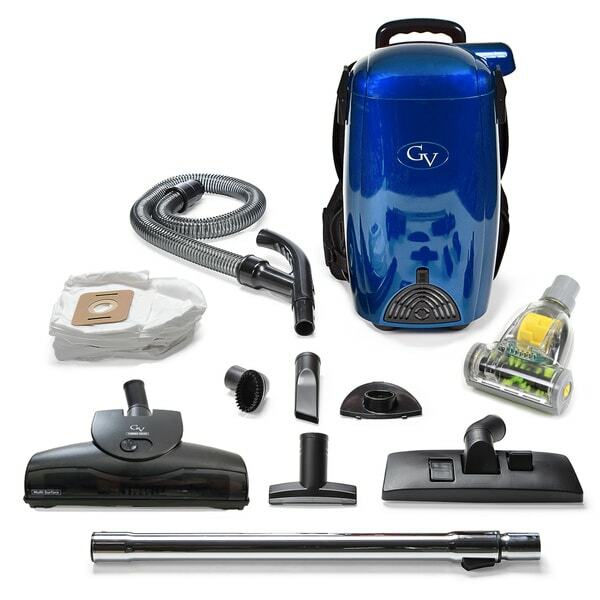 Would recommend purchasing the backpack vacuum cleaner. Use by small people who can’t Carrie I have a vacuum. 2 YR Warranty - 2 Year distributor warranty on entire unit. This vacuum is almost perfect. the issue is that the hose keeps unscrewing from the handle. I wouldn't recommend that you get this model. Great suction. Light weight. Sweet attachments. All I want to do is stay home and clean! I'm tired of dragging around a canister vacuum. I confess: I checked out the Amazon reviews. There was even a review with a video demonstration, but your price was lower, plus I received an extra discount because I signed up for email with you. Thank you and have a wonderful day! "Does it come with the electrical power?" "How many bags come with this vacuum"